Being a reliable firm in the market, we are engaged in offering Metal Casing. We are manufacturer of all type of Pattern For Machine Tools. We have expertise in making VMC and CNC machine's base, column and traverse. Get accurate, high-quality 3D printed patterns for ceramic-casting at Fabforma in as little as 3 business days. Moreover, the Split Pattern design and product is produced under the surveillance of our experts. 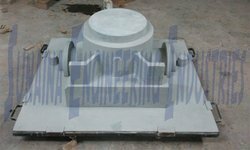 Owing to our rich industrial experience, we offer premium grade Crusher Jaw Plate Pattern in the market. To meet the diverse requirements of our clients in the best possible manner we are involved in offering to our clients Aluminium Pattern Works. Offered products are very robust and are and are made premium quality raw material. We offer our products at affordable prices to meet the market demands. Products offered by us are highly appreciated for their durability, corrosion resistance and high tensile strength. Our range is suitable for low and high volume hand machine molding applications in many industries. This Aluminium AdapterPattern can withstand vibrations and extreme temperature. 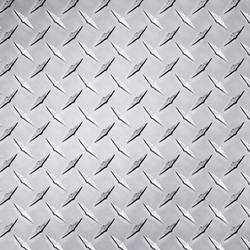 We are one of the leading manufacturer and supplier of superior quality Metal Pattern. These Metallic Patterns are good demand in the market due to high quality and durability. These products are available in market at competitive rates. Beautiful high-relief Impression patterns add visual impact, enhanced durability, and a rich, tactlie feel.